“It’s important to understand the nature of this EROEI limit. This is not a question of inadequate storage capacity – we can’t just buy or make more storage to make it work. It’s not a question of energy losses during charge and discharge, or the number of cycles a battery can deliver. We can’t look to new materials or technological advances, because the limits at the leading edge are those of earthmoving and civil engineering. The problem can’t be addressed through market support mechanisms, carbon pricing, or cost reductions. This is a fundamental energetic limit that will likely only shift if we find less materially intensive methods for dam construction. The electricity industry faces a major shortage of skilled workers in the coming years. It needs 23,000 new recruits by 2016 just to replace retiring baby boomers. When the imperative of upgrading Canada’s half-century-old power grid is factored in, the number balloons. 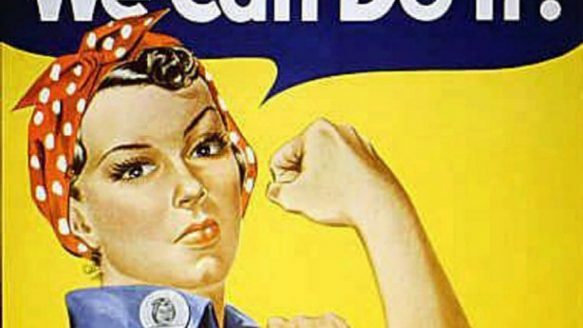 Women currently make up 25 per cent of the electricity industry’s workforce, but they are heavily concentrated in administration and marketing. “We want to get them working on the technical side,” Branigan [chief executive of Electricity Human Resources Canada] says. A truly independent local paper is now a rarity in Ontario. Bit by bit, the Ontario government is recognizing the futility of its renewable energy strategy. Still, it can’t help but throw more public tax dollars at developers eager to cash in at our expense. This week, the Independent Electricity System Operator (IESO) announced it was letting five contracts worth a total of $42 million to develop electricity storage technologies. The money will be used to develop a dozen demonstration projects around the province designed to capture and release energy— schemes that use batteries, hydrogen, flywheels and even bricks. Yes, bricks. The problem is that none of these technologies work—certainly not on a scale sufficient to serve a regional electricity grid. Nor is Ontario the first to dabble in the search for this Holy Grail. Every jurisdiction that has dabbled in intermittent energy sources such as wind and solar has grappled with the same dilemma; what to do when the sun doesn’t shine and wind doesn’t blow? It would have been wiser and more productive had these jurisdictions pooled their money to solve this problem before each erected forests of industrial wind turbines and covered vast tracts of land with solar panels. This may seem obvious with hindsight—except I, and many others, made this same point in in 2006. Of course, it is far too simplistic to limit the challenge of intermittent electricity sources to its inherent unpredictability. The bigger issue is that it messes with the entire system— not just with the wires and transformers, but with the way we buy and sell electricity. How we match demand with supply. On most days, we generate enough electricity to serve the province from our hydro dams and our nuclear power stations. 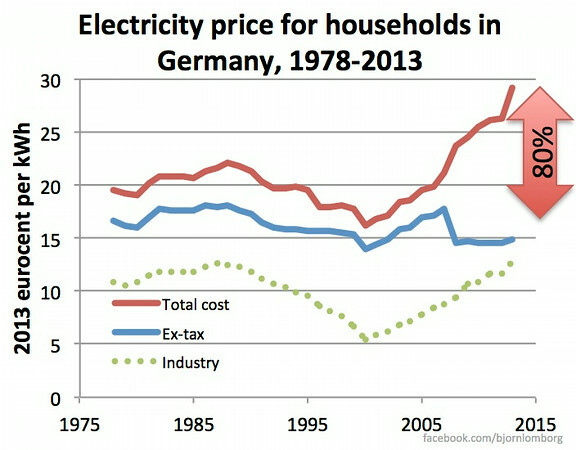 Yet wind turbines and solar panels continue to push useless electricity into the grid. The excess must be dumped or the entire system is put at risk. It is why we spend about a billion dollars each year paying Ontario’s neighbours to take our energy. Now we also pay wind and solar energy producers to disconnect themselves from the grid. Scott Luft does a great job on his blog Cold Air chronicling and describing the challenges that intermittent electricity wreaks upon Ontario’s system. He makes the point, backed by closely observed data, that the IESO has effectively lost its bearings. I thought John Michael McGrath’s In Defense of Danish Tourists was terrific, although I suspect people like living in Ottawa more than most other places. We’d be better off concentrating on more pedestrian concerns more often. I didn’t find George Monbiot’s Sick of this market -driven world? You should be a pleasant read, but I am a fan of Monbiot and he’s made a special request on this one. Perhaps that reminds me on Toronto because I occassionally pull the figures on curtailments at wind generators – which Ontario’s Premier Wynne arbitrarily decided ratepayers should pay them for instead of enforcing the contract terms where turbines were built where power can’t get to market. While the theme is that renewable energy generators need to be supported, the big beneficiaries of Wynne’s decision are Enbridge, Bookfield and TransAlta(I estimate $20+ million in the first 10 months) . The companies made bad investments to provide low-quality electricity. Kathleen Wynne decided to rob from ratepayers to enrich them anyway. That elite isn’t defined by competence, and those outside that elite are treated poorly regardless of competence. My take on the winners and losers may be far too rosey a take from Monbiot’s column. if you don’t fit in, if you feel at odds with the world, if your identity is troubled and frayed, if you feel lost and ashamed – it could be because you have retained the human values you were supposed to have discarded. You are a deviant. Be proud.